Jacques Cartier was born on December 31, 1491 in the port of Saint Malo, Brittany. He belonged to a family of mariners and became very respectable when he married Mary Catherine des Granches, a member of a family of well-known ship owners. Cartier was among the most frequently chosen as godfather and witness during baptismal celebrations in Saint Malo. There was no record of significant events in his life prior to 1534, except for the fact that he studied navigation in one of France’s prominent centers for navigation. After his studies, he became a conscientious French navigator and explorer. Historians marked his discovery of the St. Lawrence River and the Canadian coast as his greatest accomplishments. Prior to his first major expedition, it was believed that Cartier travelled to the Americas in 1524. He accompanied Giovanni da Verrazzano, a Florentine explorer, in penetrating South Carolina, Nova Scotia, Newfoundland and Brazil. The expedition was made with formal commission from the crown. Jacques Cartier’s first notable voyage was in 1534, at the time when the Edict of Union proclaimed the Duchy of Brittany as legally united with France. On May 10, 1534, Cartier left to sail on two ships with 61 members, among them his brother Jean, under the commission of King Francis I of France. Cartier searched for the Northwest Passage that would lead him to islands reputed to be rich in gold. He sailed the Atlantic for twenty days and landed in Newfoundland (now the Canadian Atlantic provinces) and crossed Magdalen Islands and Prince Edward Island. He proceeded to Chaleur Bay and Gaspe Peninsula where he met the Micmac (Meeg-maw) Indians who wanted to befriend them. His first unexpected encounter with aboriginals ended in trading. His next meeting was somewhat threatening when he saw forty Micmac boats encircling their ships. The Micmac gave peace signs, but Cartier ordered two warning shots which made the Micmac sail away. On his third encounter at Baie de Gaspe, Cartier set a cross with the words “Long Live the King of France.” He controlled the place and the Iroquoians knew that the possession was under the name of King Francis I. Although the historians could not agree whether Cartier indeed kidnapped Taignoagny and Domagaya, the sons of Chief Donnacona, it was definite that the return of the sons was conditional on the bringing of European goods. Cartier came back to France in September 1534, but his brother died during the trip because of severe weather conditions. Cartier’s second expedition is traced back from 1535 to 1536. The navigation started on May 19, 1935. He had three ships manned with 110 sailors and two native boys. He passed through Belle Isle and sailed to St. Lawrence from the coast westward until reaching Stadacona where he left one of his boats. 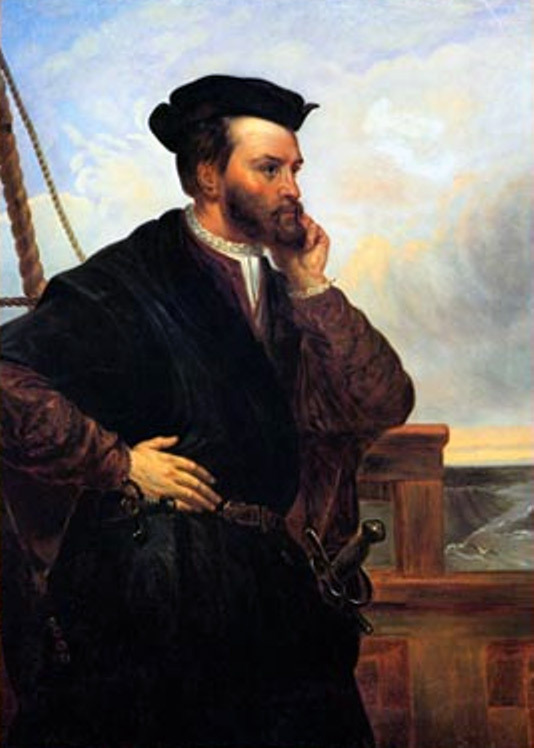 He continued navigating and reached Hochelaga (now Montreal, Canada) on October 2, 1535. Compared to Stadacona, Hochelaga was far more progressive. Iroquoians greeted them by the shore and Cartier stayed with them for two days before returning to Stadacona. As much as they wanted to return to France, they could not do so because the harsh winter prevented this. As their ships were anchored frozen with ice as thick as 1.8 meters at St. Charles River, they decided to stay in a small town near Quebec. Their situation was exacerbated by the outbreak of scurvy which resulted in the death of 25 of his men. The Hurons from Hochelaga were generous to Cartier and they gave him the remedy for scurvy. Domagaia suffered from scurvy too but was able to recuperate and told Cartier about the bark of a cedar tree that cured him. True to his words, Cartier’s men survived the illness. Notwithstanding the goodness shown to him, Cartier held 12 Indians and Chief Donnacona as prisoners. Cartier wanted to know more about the Kingdom of Saguenay, which, according to stories, was the land of treasures. They headed back and arrived in France on July 15, 1526. 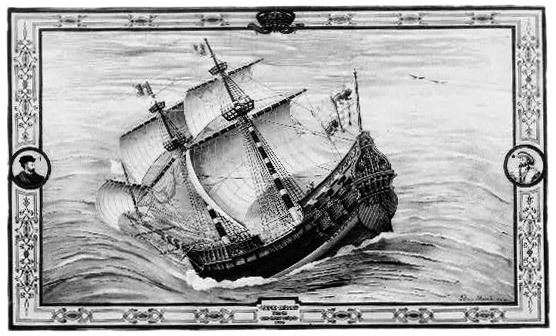 On May 23, 1541, Cartier sailed on his third voyage as a subordinate under the leadership of Jean-Francois de la Rocque de Roberval. The primary purpose of the expedition was no longer to find passage to Asian countries, but to look for the Kingdom of Saguenay. Cartier landed at Stadacona but did not bother to settle there because the Iroquoains were unfriendly. He continued to sail and spotted today’s Cap-Rouge, Quebec. The Frenchmen landed and the cattle were let loose. They started to plant cabbage and lettuce. They built a fort for protection purposes. Thus, Cartier managed to establish a settlement there. The Frenchmen were able to collect gold and diamonds. However, these treasures turned out to be mere iron pyrites and quartz crystals, respectively. This incident gave birth to the French expression, “As false as Canadian diamonds.” Even so, the discoveries were taken back home. 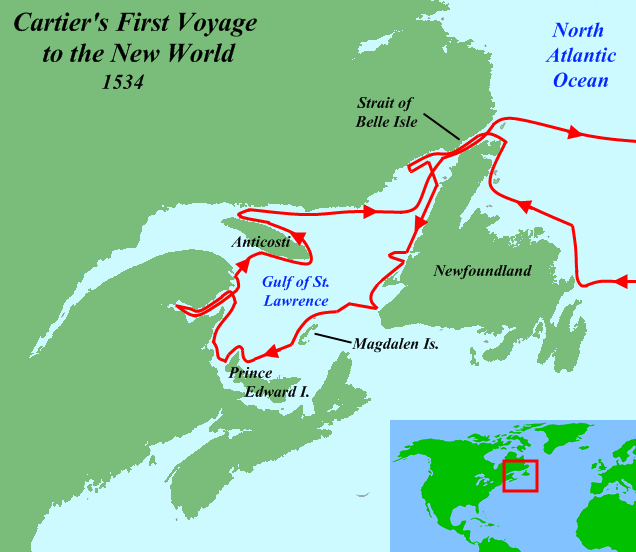 Cartier left for Saguenay on September 7, 1541. He failed on his journey because of the bad weather that confronted him plus the rapids that blocked his way all throughout the Ottawa River. He resolved to return to Charlesbourg-Royal but he found the situation rather menacing. The Iroquoians gave him unfriendly greetings and they advanced towards him in a suspicious manner. According to other sailors, they were attacked by the natives, and around 35 men were killed. The Frenchmen were outnumbered and unable to protect their settlement. In despair, Cartier left for France and met Roberval on the coast of Newfoundland. Roberval persisted in accompanying him to Saguenay but Cartier took off at night to return to France believing that what he possessed were treasures of diamond and gold. In the meantime, Roberval headed towards Charlesbourg-Royal but concluded the expedition after they were dispelled by the natives. Cartier arrived in France in October 1541. After his three major North American expeditions, the King gave him no further commissions. It is believed that he spent the last years of his life in Portugal as an interpreter. During an epidemic in 1557, Cartier died of typhus at the age of 66, albeit historians recorded the cause of his death as officially unknown. His remains are laid in St. Vincent’s Cathedral. I agree with you that they need more information. I have a report due in two weeks and your website gave me a lot of information. but you need more information on Jacques Cartier. this barely has any information / details . It says here he died of typhus, and on another it says he died of old age in New York. ? Actual cause of death is undetermined. He died when typhus was spreading, perhaps it was mere speculation that he died of typhus. Great website, but needs more details. It gave me a lot of good information, but not enough about his personal life and things he did besides his expeditions.